The evolution of the universe is actually still rather unknown, but physics researchers can shed some light on this millenary question. 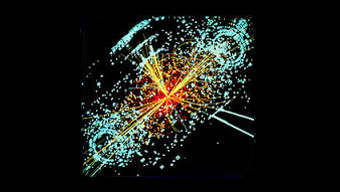 Heavy-Ion Collision at the LHC. We speak of a Big initial Bang, where energy was transformed in matter and antimmater but we actually do not know why currently there is much more matter on the earth than its counterpart. On the other hand the matter we know is only a small fraction of the total mass that is present in the universe and people talk there about dark matter, or even of dark energy. What is our task today in this field? On the one hand side hypotheses are needed to look for new particles, where theory provide us with models. On the other hand we have to test these models with experiments. We use two methods, either we collide matter at high energies trying to reproduce different stages of the early universe -- the further we want to look back in time, the higher is the energy we need. Or we can look, like in ancient times, at the experiments which nature by itself performs out there starting from the atmosphere up to other galaxies and watch what comes on the earth. Wait and watch. How do we look at these experiments? 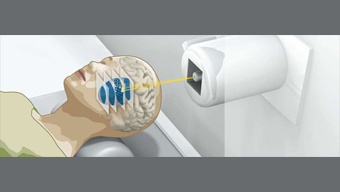 Beams of heavy ions can target hard-to-reach tumors with great accuracy and with minimal damage to surrounding tissues. We use detector as our eye, devices which sizes go from few centimeters to dozens of meters and we exploit modern technology to collect as much information as possible, without interfering with the systems we are observing. But actually even the common matter, as the nuclei, known to everyone, are not so precisely known at all. We still have very simple recipies to explain what is really happening inside common matter and probably also there are some ingredients missing. Actually steps forward in knowledge about the world we live in have always be a more than sufficient motivation to do that, but additionally society profits largely from the sosphisticated techniques developed and used to study the universe.